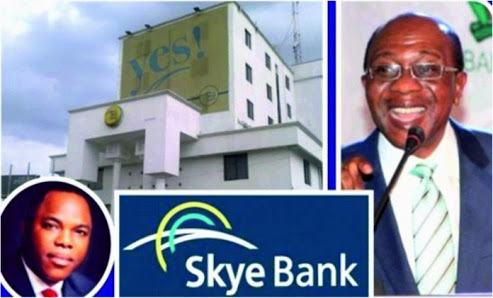 The Federal Government has promised to persecute all those found to be responsible for the failure of the erstwhile Skye Bank. A statement from the federal ministry of finance issued on Friday evening and signed by the Director of Information Mr. Hassan Dodo said the Minister of Finance, Zainab Ahmed made this known when she a paid a familiarity visit to the Nigerian Deposit Insurance Corporation (NDIC), in Abuja. “The example of the recently wound-up of Skye Bank, now Polaris Bank is something we would look into. We would find out what happened. Your investigation must be thorough, we are going to hold whoever was responsible for the failure of that bank," she said. “We have to show some examples, we can not just be bailing out banks and leaving perpetrators of the failure of these banks to just go scot-free. Even though you intervene by protecting depositors, but your intervention is limited. You’re not able to payback all that the depositors have. We must show some examples and this is a good one for us to start with”, the Minister said. Ahmed stressed the need for the NDIC to continuously monitor the banks to ensure that problems are detected early and solved before they become crises. “The role that you play in monitoring banks should be continuous, because if you capture these issues early, there is a better chance of us protecting these banks, protecting shareholders and depositors”, the Minister said. The Minister commended the NDIC for its adherence to the requirements of the fiscal responsibility act by constantly paying its operational surpluses to the Federal Government. “I can confirm to you that just within this week, the sum of N15 billion was received by the Federal Government and this brings to about N107 billion that NDIC has paid to date”, she said. The Minister said the job of the NDIC of ensuring capital adequacy within the banking system, ensuring profitability, ensuring access to finances are very important for the success of the administration and the economy, adding that the agency should work with the CBN to reduce the number of unbanked citizens.